What if you enter your kitchen at night and you feel something creepy moving on your feet or when you open cabinet in your kitchen or storeroom and you notice cockroaches wandering around, or your expensive wooden floor has holes and they are damaged due to from mice attack! You seriously need to think about fumigate your home. Let’s know when and how to tell when you need to fumigate your house. Before going for fumigation, you need to do a complete home pest inspection. Inspect every corner of your home – from the kitchen to the storeroom, from living room to bedroom for pest control treatment. You must not miss the pest infected areas; inspect your cabinets, reconnoiter every nook of your home to see if there is any breakage. Once you know about the damaged areas and threatening pest’s type, your next step is to choose the right treatment to get rid of such disparaging pests. It’s the right time to call your pest control service provider to get an apt solution. Fumigation also depends on how much area is infested. You can fumigate your home by yourself if the pest-ridden areas are small or your home is small but it is always advisable to take professional help. If you have decided to do it by yourself then you need to select products and equipment to exterminate all threating pest. There are many pest control services that offer their customers home pests inspection and complete treatments for pests such as roach treatment at reasonable prices. After home pest inspection and treatment selection, your first action is to take some precautionary actions before fumigation. If you have kids or pets then you have to vacate your home, arrange some safe place for your children and pets to stay for a while. Cover all eatables and grains. Put your kitchen crockery and utensils in safe places. Turn off all gas pilots and electrical switches to avoid sudden mishaps. Your indoor plants also need your attention because fumigation may have harmful effects on them. Shrubs and plants can be home for many pests which gradually enter the house and dwell there. 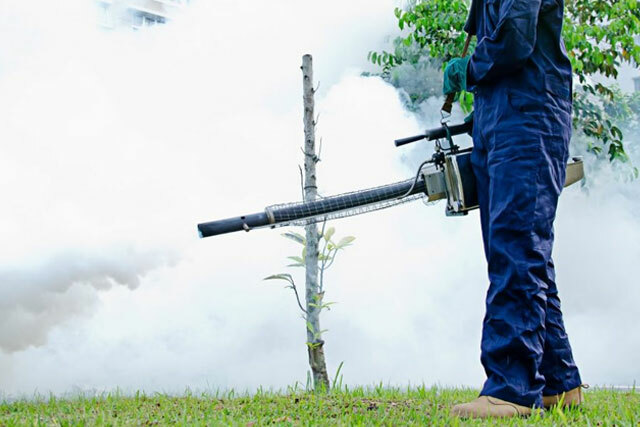 So you need to cut and mend unwanted shrubs and plants along with fumigation in order to save your home from perilous pests. For the prevention of pests, good ventilation is also very necessary. Make sure your home gets proper sunlight and air; such houses are mostly pest and germ-free. Fumigation may seem a tedious chore but it is important and it should be our priority too in order to avoid pests, germs and infectious diseases to enter in our house and surroundings.